Today being the birthday anniversary of the legendary Robert Mitchum, I thought it apropos that we revisit Timothy’s barely-there appearance in Henry Hathaway‘s White Witch Doctor (1953). 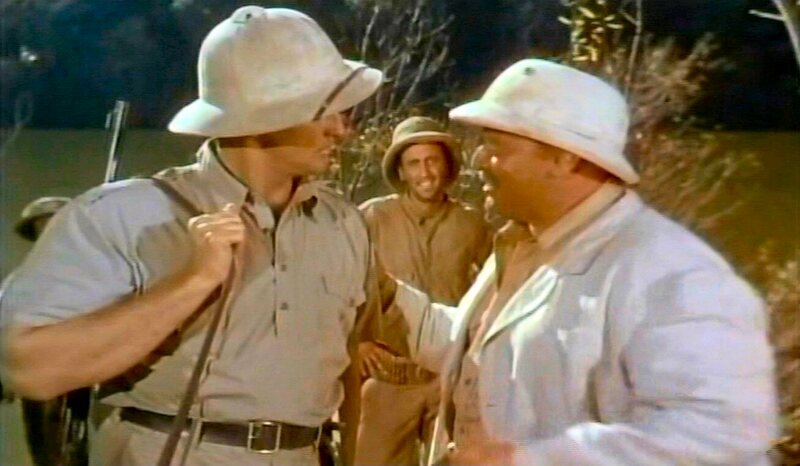 He’s the henchman of bad guy Walter Slezak, here conferring with Mitchum in the jungles of deepest darkest Africa. Tim was reportedly fired from this film, with the notoriously irascible Hathaway seething, “He can keep his wardrobe, I don’t care – just get him the hell off my set!” This didn’t stop Tim from pestering Hathaway a year later for a part he didn’t get in Prince Valiant (1954). Our video of the week showcases Timothy’s don’t-blink-or-you’ll-miss-him bit part in Daniel Mann‘s I’ll Cry Tomorrow (1955), the harrowing story of actress/singer Lillian Roth‘s descent into alcoholism. He’s a drunken bum stumbling around a dingy flophouse, on the verge of molesting an equally drunken Roth (Susan Hayward in her fourth Oscar-nominated performance). Tim appears at about 12:00. Tim had previously appeared in White Witch Doctor (1952) along with Hayward, although they had no scenes together (they really don’t here either; they never appear in the same shot). Hayward finally won that richly deserved Oscar for I Want to Live! (1958), also based on a true story (many of her best roles were as real-life women). She’s a true Hollywood legend – smart, brave and gutsy. And, like Tim, from Brooklyn! 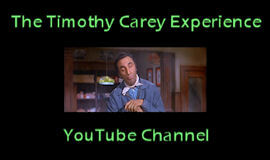 Today we take another look at Timothy’s fleeting appearance in Henry Hathaway‘s White Witch Doctor (1953). 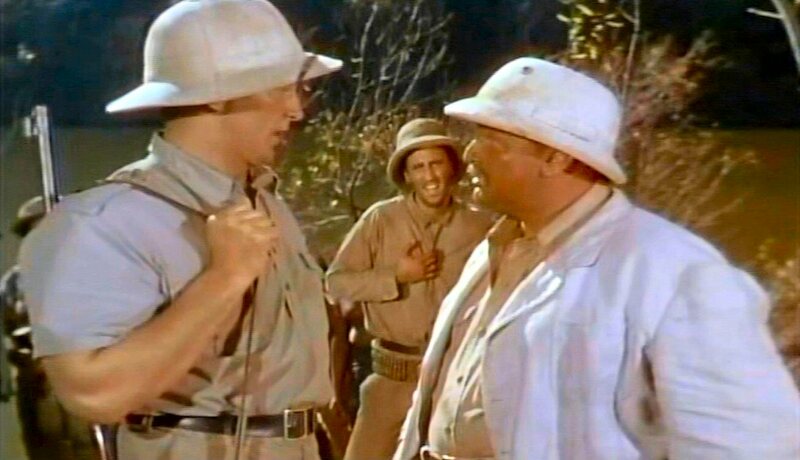 He portrays – big surprise here – one of bad guy Walter Slezak‘s henchmen, tracking down Robert Mitchum deep in the jungles of Africa. This was another film that Tim was fired from, even though it’s the first feature film in which he received screen credit. 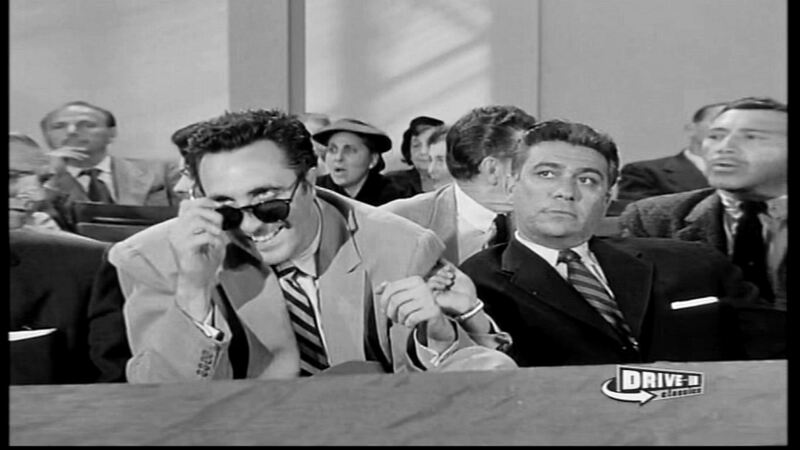 According to Mitchum, the notoriously irascible Hathaway was heard to bellow, “Get that Carey guy off my set! He can keep his wardrobe, I don’t care! Just get him out of here!” Oh, dear. Today’s pic (click to embiggen, blah blah, you know this) features Tim in one of his very early film appearances. It’s yet another don’t-blink-or-you’ll-miss-him part. The film is White Witch Doctor (1953), directed by the notorious Henry Hathaway and starring Robert Mitchum and Susan Hayward. Tim is the henchman of bad guy Walter Slezak. He doesn’t last too long, but true to form, he makes sure he strategically positions himself for some good shots like this one. Hathaway encountered Tim again a year later, I’ve no doubt much to his chagrin, when Tim costumed himself in medieval garb, climbed over a wall at the Fox studios, and accosted Hathaway in the commissary, angling for a part in Prince Valiant (1954). He didn’t get it.